When using or hiring a skip, often you need to obtain a skip licence before you make any arrangements. Whether you have a few questions regarding skip licences, or you were completely unaware that they existed – we’re going to tell you all you need to know about skip licences. What is a skip licence? A skip licence is a permit which allows you to use a skip according to predetermined guidelines. Skip licences are also referred to as highway permits. Depending on your intention of use, and the circumstances surrounding your skip use, you may need to obtain a skip licence in order to carry out the work. Not everyone will need a skip licence. For example, if the skip is going to be placed wholly on private property, such as a driveway or land at the rear of your house, a permit will not be required. However, if your skip is going to be placed on public land such as a pavement or road, you will need to get a licence. Failure to do so may result in a fine or removal of the skip without warning. How do I get a skip licence? 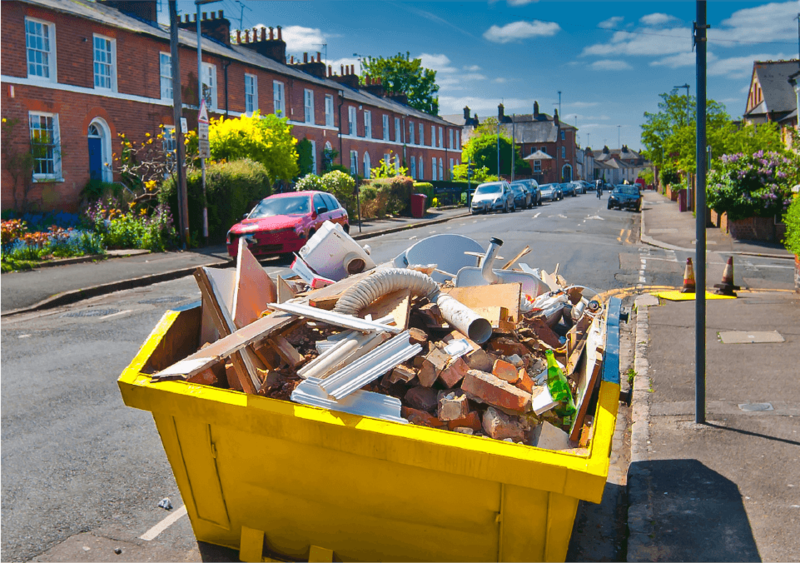 You can apply for your skip licence via your local council and it usually takes a few days for it to be processed. Licences are not granted automatically and the council takes into consideration a number of things, such as the size and scale of the skip, the contents, disposal and storage of the contents, placement of the skip, health and safety issues and the removal of the skip when it is no longer needed. However, you may not have to apply for the permit yourself. Your chosen skip hire company can do that on your behalf and factor the cost into their final bill. Cheadle Skips can apply for your required skip license and then add any extra cost to the cost of the skip. Please note that charges vary in different council boroughs – for more information just give us a call. How much do skip licences cost? Again, the cost varies from council to council so will be dependent on where you live. How long you intend to hire the skip also affects the price. Skip permits usually last for one, two or four weeks and can be extended for an additional fee. An average price for a skip licence is around £30 but please give us a call and we can provide you with exact costs. Now you’ve got the lowdown on all things skip licence – it’s time to choose your skip hire company. If you’re looking for skip hire in Cheadle or the wider South Manchester area, contact us at Cheadle Skip Hire 0161 476 3103.